Spring marks the start of an inspirational few months, with coverage of athletics, high-profile road races, cycling and a host of other sports – it’s enough to tempt the most dedicated couch potato to get off the sofa and start moving. But when winter has kept us indoors, it’s easy to let enthusiasm run away with us and overdo things as soon as finer weather comes. And that can lead to stiff, sore, aching back muscles. So before you leap into the Lycra and push too hard to compete with your fittest friends or team mates, take a little time to #mindyourback. Mind Your Back offers five simple S.T.E.P.S. to a healthier, stronger back. It has been developed by the muscle and joint experts at Mentholatum, the company behind iconic brands such as Deep Heat and Deep Freeze. The aim? To help you manage muscular back pain and prevent future problems. #mindyourback has been designed to fit into busy lifestyles – it takes little time and you don’t need to spend a fortune on special equipment or the latest sports gear. •	Stretch – five easy to follow stretches to help ease tight back muscles and keep you mobile. •	Strengthen – five more exercises, this time to strengthen your core muscles and help prevent back pain. A strong core means a stronger back. You can do your stretches anywhere at any time. No need to travel to the gym, you can stretch at home, in the office or in the park at lunchtime, wherever it suits you. Just listen to your body, take it slowly at the start, never over-extending or pushing yourself too hard and stop at once if you feel any pain. Jillian Watt, director of Marketing and New Product Development at Mentholatum, says: “It is now widely recognised that exercise should be the first treatment for muscular lower back pain. It is a key recommendation in the latest advice from NICE (the National Institute for Clinical Excellence)1. And the Self Care Forum also recommends topical treatments such as hot or cold therapy to help ease muscle pain in the lower back. 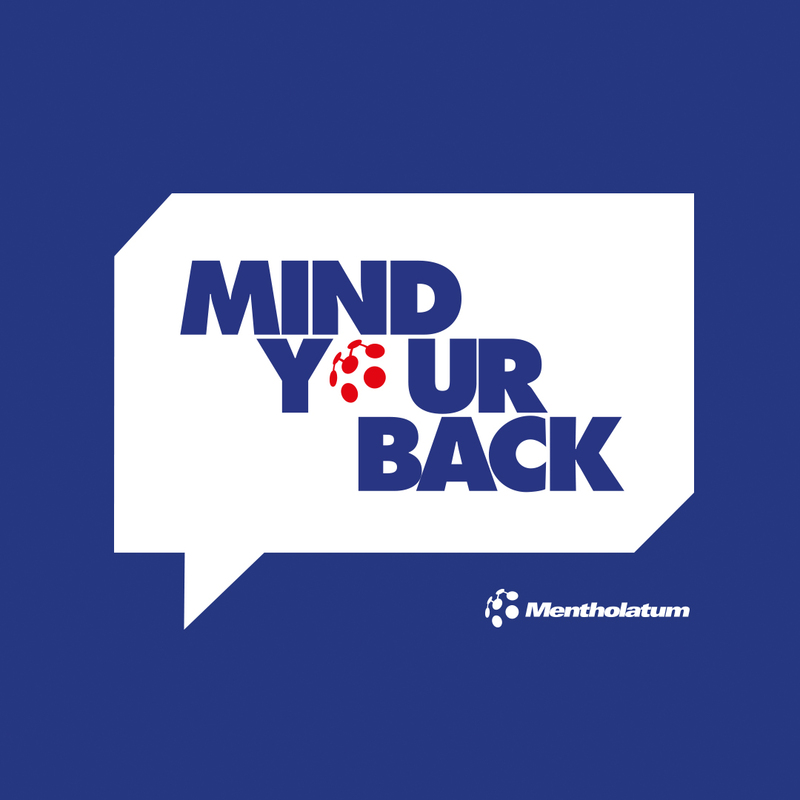 “We have developed #mindyourback to give back pain suffers a one-stop shop for clear, key advice to help them manage their back pain in five simple S.T.E.P.S. which can fit into the busiest lives. We are delighted to have the support of health and exercise professionals including personal trainer Faisal Abdallah and physiotherapist and yoga instructor Celeste Pereira. The Mentholatum Company is the UK’s number one seller of topical analgesics, accounting for more than three of every ten topical analgesic products sold in the UK**. It is the company behind some of the nation’s best-known and most trusted brands such as Deep Heat and Deep Freeze and the ibuprofen and levomenthol gel Deep Relief. This press release was distributed by ResponseSource Press Release Wire on behalf of The Mentholatum Company in the following categories: Men's Interest, Leisure & Hobbies, Sport, for more information visit https://pressreleasewire.responsesource.com/about.